It has been working with YPS which has given me the confidence to go ahead with self publishing my own book, and I would strongly recommend the very personal service that you get from them. YPS are central enough in York to visit and discuss face to face. They are a very supportive, quirky team, who pride themselves on producing good quality publications. Duncan, the owner, ran a very big mainstream publishing set up and brings a wealth of experience. YPS was recommended to me by an author who has self published eight books. Before that, I had considered, and got quotes, from six firms and these varied by £3,000! As I had never had anything published before, I have had a steep learning curve! Duncan will give you a quote and talk through what you want to achieve. If you have published before you would recognise the questions, but they were new to me. He will NOT try to oversell to you. A key thing to remember is that YOU are the publisher and following a timescale is crucial – again all new to me originally. First, I would download Duncan´s excellent guide Guide to Self Publishing from YPS Publishing 2016 (652 Kb). I´ve recommended this to a few people who have all found it helpful. Allow a full 16 weeks from delivering your manuscript to YPS to getting a copy to sell. My Dales book totally bucked the trend as it had numerous reprints, all within three months. You will have a clear view of what you want your book to look like and so did I, but there are things that need early discussion with the YPS designer Clare Brayshaw - the person who manages your whole design and development, through to the final print copy, and is WONDERFUL to work with. She also did my covers and she listens very carefully to what you want. She can do layouts with her software that are magical and she is very talented. She is skilled in imaginative layout and can give you ideas that you may not have thought about. Both my books have large indexes - yours may not - but if you do have one, there are some things that can be done at the beginning in set-up stage that are helpful. My own book also has a couple of hundred footnotes - these need a discussion with Clare beforehand as well. When you have your inside pages complete, and know how many pages there will be and what size the book will be, then YOU are the one who needs to apply for your ISBN numbers. You have to buy ten at a cost of £149 from Nielsen book data. You can read all about the process here. Allow ten working days to get your numbers, which come by email so you can then just forward them to Clare and she uses the first one on your book - leaves plenty spare for future publications! You need to decide what your new publishing name will be as it will need to go on your ISBN application. 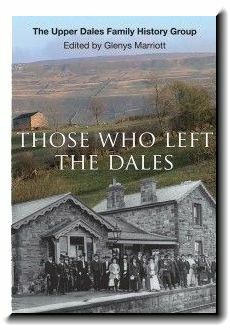 Re distribution - the Dales book has gone all over the world and has just sold 1000 copies. I could never have managed that from Newbiggin, with the nearest post office nine miles away so I paid YPS £220 plus VAT to store, distribute and advertise the book for 6 months - well worth the cost. The YPS distribution manager, Paula, will work with you and advise you of how sales are going, manage The YPD Bookshop web page for you and send out your monthly cheque for sales. I hope that this helps a little. I am still a newbie at this game but have been so delighted to get two books under my belt that I am in the middle of writing up my 3rd - The Forgotten Schools of Bishopdale. I could only have done that because of the help and guidance I received from Duncan and the team - their flexibility allowed me to ‘learn on the job´ and make the inevitable mistakes. I had a couple of very stressful times when things were going wrong, but they responded in a very calm ‘can do´ way which gave me confidence that all was not lost!